Ankhi Mukherjee’s essay ‘”What is a Classic? : International Literary Criticism and the Classic Question’ (PMLA ) doesn’t remove ‘the classic’ from extrinsic factors, but clarifies some issues in ways that book-historical approaches don’t. While those texts chosen to go into editions of ‘classics’ look very much like part of the canon, Mukherjee reminds us that the classic might have qualities which make it sit uneasily in the canon. Certainly if we conceive the canon as presupposing an interconnected tradition, one in which relationships of inheritance and indebtedness predominate, then the classic might be admitted despite its failure to fit in. In Harold Bloom’s definition of the classic, it has qualities of ‘strangeness’, ‘a mode of originality that either cannot be assimilated, or that so assimilates us that we cease to see it as strange’. I’m cautious about the second clause and the assumptions about community that are rolled into ‘us’, but the idea that the classic is singular and resistant to assimilation is one that I’m happy to work with. Another way of putting this is that it’s like Michel Foucault’s idea of the ‘founders of discursivity’ (in ‘What is an Author? ). Writers like Freud or Marx ‘are unique in that they are not just the authors of their own works. They have produced something else: the possibilities and rules for the formation of other texts.’ However, when Foucault tests this concept against a literary example — Ann Radcliffe, as founder of the Gothic novel — he finds her wanting, not because her example wasn’t enormously generative, but because the real founders of discursivity also enable ‘a certain number of divergences’ from their example. Likewise, Bloom’s non-assimilable author generates not just developments of her mode, but texts that work in opposition to it. It’s much easier to demonstrate the fact of opposition when one is working in fields of theoretical propositions, like psychoanalysis or linguistics, and much harder in a field where, if there is a rationale at all, it is buried in the practice. Mukherjee also proposes that the classic exists in a relation of co-dependence with literary criticism: ‘the classic is that which survives critical questioning, and it in fact defines itself by that surviving’ (Mukherjee, p.1028). This raises a question of how narrowly or widely we should define ‘critical questioning’: does it mean only academic writing, or only prose writing operating within a recognised critical idiom, or could it be extended to include the kind of critical questioning undertaken by creative rewriting of earlier works? A robust definition of the classic would have to envisage the survival of the concept even in a world where academic literary criticism had never existed or had ceased to be. An older humanist mode of literary criticism would have spoken of classics as embodying timeless and universal human values. That sort of answer doesn’t seem viable any more: definitions of the timelessly placelessly human have all too often embodied the culturally specific outlooks of the definer. It’s one thing to hope for united humanity; it’s another to define its essential characteristics. Moreover, defining classics in terms of human values tends to favour lyric poems speaking in a recognisable human voice, or realist narratives depicting recognisable human situations. Those are enormously interesting kinds of writing, with great internal variety, but there’s more to literature than they can encompass. Shakespeare’s plays and the Canterbury Tales are readily absorbed, but its harder to justify fantastic works like The House of Fame or Paradise Lost. Tom MacCarthy’s Remainder (2005) struck me as one possible future classic, because it feels very fresh and original and yet also familiar, as Beckett had written without existential angst and in a recognisable modern south London setting; but thinking about the distinction between the classic and the canonical, I wonder whether Remainder, because of the suggestion of Beckett, might not be canonical rather than classic. It’s impossible to anticipate what critical questioning it might face, and whether it might survive it, and part of the problem here is of not knowing where MacCarthy’s career might take him. (The novel that followed it, C (2010), was highly acclaimed, but I haven’t yet found the time to read it; there’s another novel now complete in manuscript.) If we’re thinking about extrinsic factors, MacCarthy seems to have influential backers, and Zadie Smith’s widely cited ‘Two Paths for the Novel‘ argues for his direction being the one with a future. 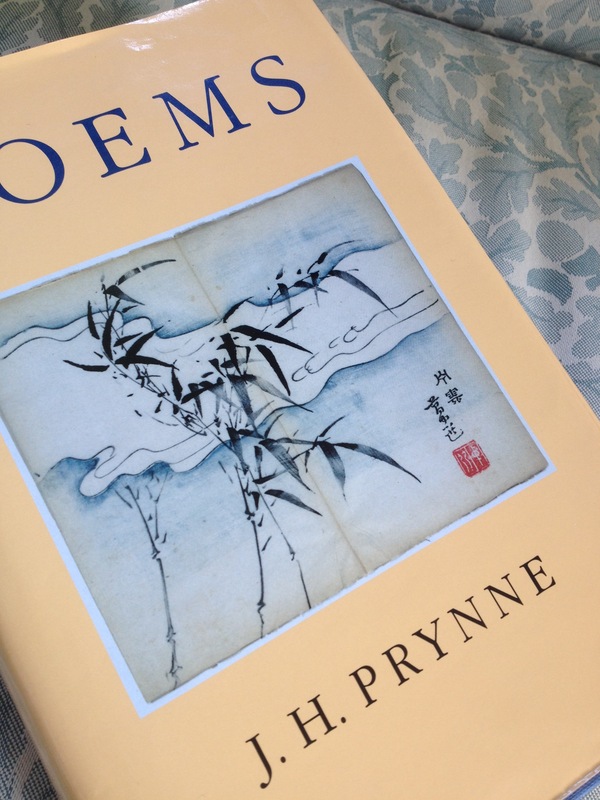 I’m more comfortable making predictions in the field of poetry, so, with some reluctance about the exercise, and the ghosts of Leavis and Bottrall looking down on me, I’d suggest that J. H. Prynne’s poetry has the necessary qualities to survive. For all that he’s indebted to Charles Olson and Edward Dorn, Prynne has consistently invented new ways of writing poetry that go far beyond the production of poems that are in themselves inventive and constantly surprising. Put alongside Foucault’s demanding comparison of Ann Radcliffe with Freud, Prynne’s inventiveness might place him equal only to Radcliffe, but to an imaginary Radcliffe who invented not just Gothic but the marriage plot novel, the condition-of-England novel, and the sensation novel. And as I say, with literary discourses, it’s much harder to determine whether a later writer is working within the terms established by their predecessor. As well as being some sort of a founder of discursivity, Prynne has also written works that startle in their range of reference and in their juxtapositions. Whether it will survive critical questioning is harder to predict because we don’t know what questions critics might pose, and in the short term will be less important than whether later poets wish to follow his example. And it’s clear that his example has been enormously important to several generations of poets. I’ve found the earlier volumes (Kitchen Poems, Day Light Songs, The White Stones, Brass, Wound Response, which date from c.1968-1974) the more rewarding to read, though The Oval Window (1983) is magical. In reading Prynne I’ve benefitted from the guidance of N. H. Reeve and Richard Kerridge’s Nearly Too Much: The Poetry of J. H. Prynne (1995), and it may be that their extended treatment of The Oval Window is why it works for me; there’s no comparable guide to the later volumes, and it’s notable how many critical accounts of his work treat the late 1960s work as if it were typical of the whole; in the later work syntax becomes increasingly compressed and unreliable as a guide. Ten years ago John Carey expressed outrage that Randall Stevenson had declared Prynne rather than Philip Larkin to be the most important English poet of the late twentieth century (in Stevenson’s The Last of England? (2004), his volume in the Oxford English Literary History; I’ve forgotten the exact terms in which Carey framed the comparison). It’s hard (consulting the index of the volume) to find Stevenson making the comparison quite as starkly as this, though it’s true to the broad drift of his account. Carey’s preference is entirely consistent with the populist and anti-modernist line he took in The Intellectuals and the Masses (1992), in which accessibility outweighs other considerations. My guess is that Carey’s future classics would speak to universal human values and would do so in a register not far removed from everyday English speech. I’d argue that literature can do more than speak everyday English, and that Prynne’s poetry has shown us several ways of doing it. This entry was posted in Books and tagged Ankhi Mukherjee, bookaday, classic, J. H. Prynne, poetry, What is a Classic? on 13/06/2014 by michaelwhitworth.